It's time. Time to unearth all your heavy duty winter accessories from where you buried them last spring. 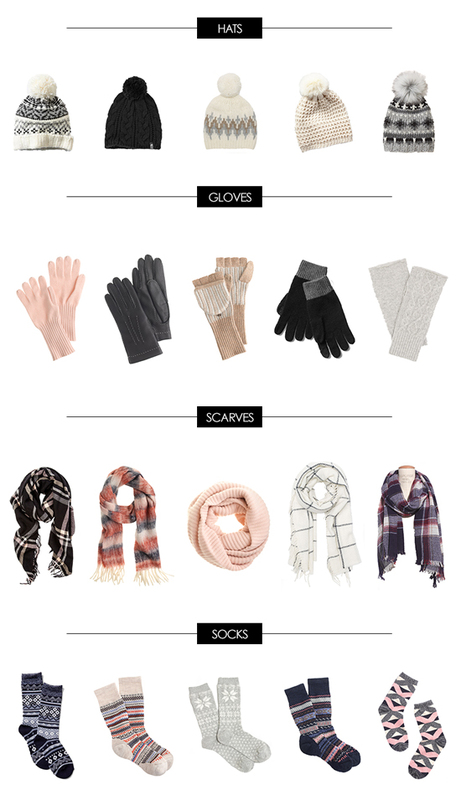 All the hats, gloves, scarves and socks. If you're like me you'll realize that all your socks have holes in them, your winter white cashmere scarf that's served you for the past five years is a lot less white and you can't for the life of you find your iPhone approved gloves. Never fear, I've rounded up a selection of cozy accessories just in time to add to your holiday wish lists! Living in Boston, these are all SO necessary! I've been avoiding the inevitable, but now it's time to prep for winter. Great roundup! !